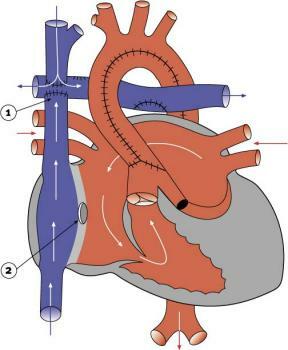 This entry was posted in Fenestration, Follow-up study, Fontan, Long-term study by bendantzer. Bookmark the permalink. Really interesting. 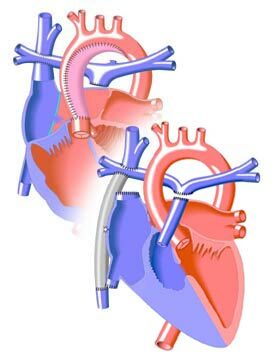 My son had a fenestrated fontan, he was a high risk fontan. He made a great recovery but his fenestration was closed 3 months later due to low oxygen sats (lower than 70% on exercise). It was closed with an asd device and he suffered a mini stroke, he lost use of his left side for 48 hours making a full recovery in 4 weeks. Happy to hear that he made a full recovery and hope he is doing well. My son is going for his closure in 2 weeks. Of course I have been trying to find everything on this closure procedure, this article is good and confusing on their findings about the closure. But my son needs this closure because he is starting to bite the tips of his fingers and toes all the time prob lack of blood flow to them, I am very nervous but I have faith. So sorry to hear your child had a stroke and thank god he is ok now! my daughter had her last op 6 years ago they are now saying to close her fenestration but she has had so many things go wrong with catheter ops, she had a stroke then started fitting she has damage to her left side of her brain and this has put her behind mentally to her friends she is 10 now but mentally 6-7 yrs. I really dont know what to do for the best. This article has been helpful. Dear Tracey, Thanks for your comment and reading this blog. I am sorry to hear about your daughter having things go wrong with the catheter procedures. The cath procedures always seem like they are a simple procedure compared to the surgeries but so many things can go wrong it is always nerve-wracking. Are you in the UK? It sounds like it is normal to close the fenestration here. Do you also get that impression? Hi Tracey, i hope your daughter will recover in the long-term. Just remember these kids are a resilient bunch and once whats ailing them is relieved they make fast recovery. It seems closing the fenestration helps with O2 sats which should help with the brain function. My son is in similar situation, just had Fontan today. Gooduck to all the kids facing this challenge. Thanks for reading Saim. I think that fenestration on average increases sats by 4-5%? Best wishes to your son and his recovery. Our son who is 9 yrs old just had the fenestration closed last week January 16, 2014. Sats went up from low 90’s, to 95-96 while recovering from the procedure. All seems to be well so far! We are so thankful for the miracle of modern medicine, and the good doctors who have studied long and hard to help these children. Our son returned home about 8 hours after the procedure. That’s great news Jeff! Best wishes to your son and his recovery.